The Florida Department of Health in Pasco County has issued a rabies alert. This is in response to an owned animal being exposed to a raccoon that tested positive for rabies. All residents and visitors in the Meadow Pointe area of Wesley Chapel should be aware that rabies is present in the wild animal population and domestic animals are at risk if not vaccinated. The public is asked to maintain a heightened awareness that rabies is active. Alerts are designed to increase awareness of the public. However, residents should not get a false sense of security in areas that have not been named as under an alert. An animal with rabies could infect other wild or domestic animals that have not been vaccinated against rabies. 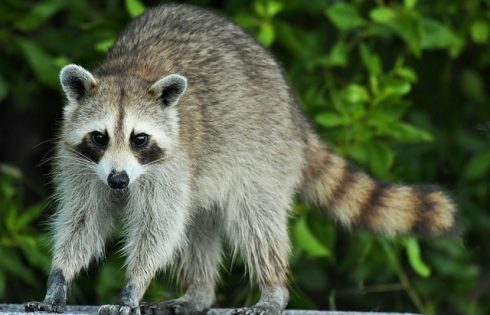 All domestic animals should be vaccinated against rabies and all wildlife contact should be avoided, particularly with raccoons, bats, foxes, skunks, otters, bobcats and coyotes. Rabies is a disease of the nervous system and is fatal to warm-blooded animals and humans. The only treatment for human exposure to rabies is rabies-specific immune globulin and rabies immunization. Appropriate treatment started soon after the exposure will protect an exposed person from the disease. Do nothandle, feed, or unintentionally attract wild animals with open garbage cans or litter. If you are bitten by any animal seek care promptly. Wash the wound thoroughly with soap and water. Go to your family doctor or hospital for medical attention immediately. Contact Pasco County Animal Services at (727) 834-3216, (813) 929-1212, or (352) 521-5194 to report animal bites or scratches. Contact the Florida Fish and Wildlife Conservation Commission at 1-888-404-3922 for concerns about wild animals.